Harley Winger’s preferred area of practice is corporate finance, capital markets and securities regulation. He advises both underwriters and issuers in respect of national and international public and private securities financing, as well as mergers and corporate reorganizations. In addition, his practice involves asset acquisitions, dispositions and commercial law. Mr. Winger graduated from the University of Saskatchewan in 1974 with a Bachelor of Arts degree and in 1978 with his law degree. Mr. Winger has been recognized in The Best Lawyers continuously since 2006, in the area of Corporate Law (Finance). He served as the Chairman of the Securities Subsection of the Canadian Bar Association for several years. 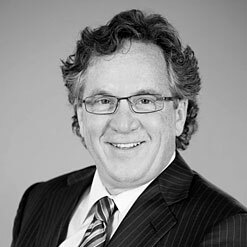 He has participated in numerous seminar panels discussing corporate and securities law issues. He has been actively involved in the Professional Division of the United Way of Calgary Campaign. Mr. Winger was a member of the Capital Campaign Cabinet for Calgary’s new Telus Spark Science Centre.